David Letterman: Oprah, Uma! Uma, Oprah! I remember a lot of critics and reviews were incredibly harsh after this awards show with a lot of attention focused on a joke host David Letterman did that kind of fell flat where he just kept going between Oprah Winfrey and Uma Thurman and saying "Oprah... Uma. Uma... Oprah." And yes that joke was kind of dumb but it was also so dumb it was kind of funny. I mean think about it, to this day people still talk about it and laugh at least because it was so dumb. Also the show was what like three hours long and the rest of it was great! David Letterman was very comfortable and funny with some great jokes, perhaps the Hollywood stiffs just didn't like some of the ones which were aimed at themselves. Also the short videos he did were the best I've ever seen on any Oscars, with fake auditions for a tiny part he played in Cabin Boy (not exactly an Oscar nominated movie) and taxi cabs. All of that was amazing! I honestly don't know why some people act like Letterman was terrible or that this was a bad Oscars broadcast. Honestly if you thought this was anywhere near as bad as any of the years hosted by Whoopi Goldberg, Ellen Degeneres, Billy Crystal (especially the later years), high James Franco (dumpster fire) or many many others, I question your sense of humor and I.Q. 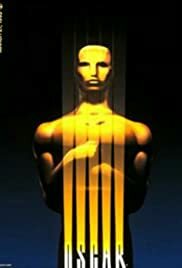 The Oscars needs more fun years like this one!